To compete with JEEP® in Brazil, Ford EcoSport decided to connect with all nature lovers. To do that, we created a virtual community called #filhosdamaenatureza (#ChildrenOfMotherNature), which invited the brand's target audience to join Mother Nature and drive their cars on it. We encouraged all drivers to share their experience through the campaign hashtag. To celebrate the Mothers Day, we created an "Instamission" asking people to take a picture with the Mother Nature and post the hashtag #filhosdamaenatureza (#ChildrenOfMotherNature). • 203 million earned media impressions • 1.2 million new fans • 10% global fans growth • 11% global engagement • 122 million consumers reached. We created sustaining social media content for markets to use in between clues. We’ve been making our own barrels for quite sometime. But clearly we don't have as much experience been hiding them. 21+. Official rules at jackdanielsbarrelhunt.com. Get hunting. To reveal locations in 50+ countries, clues for the Jack Daniel's Barrel Hunt took the form of vintage photography. Below are a few examples. These map-inspired posters were made entirely from wood to raise awareness about Jack Daniel’s Barrel Hunt and to drive people to Facebook. They were given as prizes and featured in select bars. Hundreds of web releases and TV news popped up all over the world. Fox News and Channel5 are just few examples. Every year Ford Trucks releases a calendar to be placed in factories and homes. But this time, we wanted to do more than a conventional calendar. We developed a special edition in order to help truckers and their families feel a little bit closer during the time they can't be together. When Ford Motors introduced the Ford New Fiesta to the market, it was a car full of innovations for its category. Consumers and car magazines started to define it with a single word: AMAZING. That’s what let us to create this campaign. An important note to the film above: Fernanda Montenegro is the most famous and respectful Brazilian actress of all time. Her appearance in movies and soap operas is always acclaimed. Aiming the young target of the brand, we created some Jack Fire short films and cinemagraphs to take place in social media. To build the messages we explored the heat flavor of the drink and Jack Daniel's brand spirit. 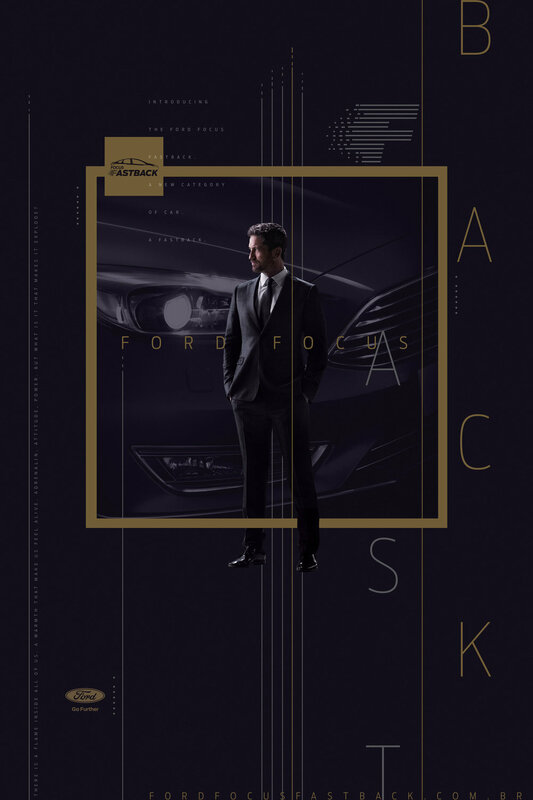 Ford Motors was launching a new category of car in Brazil, a Fastback. The new Ford Focus Fastback was a car made for those who really enjoy a driving experience. So, in order to communicate that, we made a special test drive series on some of the best tracks in the world. We called it: Focus Fastback Drive. The Ford Ranger is a vehicle for those who enjoy trips and off-road adventures. That’s why we developed a special set of manuals that could provide more than just regular information; it should help the driver to be safe in unexpected scenarios and locations along the way. S˜ão Paulo Creative Club (also known as Creation Club), is the biggest ad festival in Brazil. Every year, bringing new members to the club is one of their tasks. So, in order to connect with the people from ad industry, we made an animation that brought up the funny but cruel reality of every creative in Brazil: not enough time but still been pressured for an out standing result. Working with a small budge, for production and insertion, was the biggest challenge for this job. To revert this scenario into something positive, we created an idea that could make sense with a single insertion on TV. By the time Ford Motor Company renewed all their vehicles in 2013, I had an honor of been challenged to create their next branding campaign. We were inspired by the greatest machine ever made. The Sync Media System is one of the great features of a Ford vehicle, which can help drivers in a variety of ways. So, we explored a true fact to highlight this feature and make it even more relevant in people's perceptions. MK&G Hamburg Museum - "2016 - Sneakers. 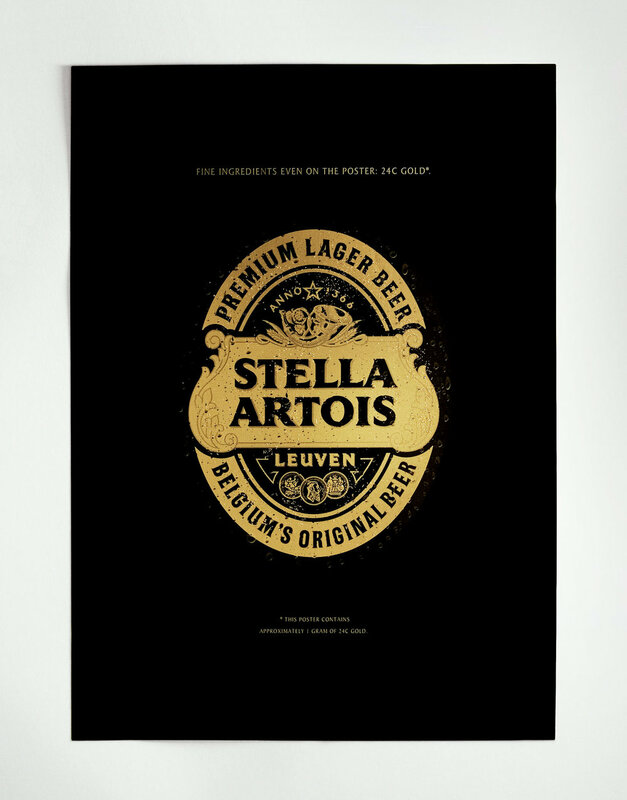 Design for Fast Feed." exhibition. In Brazil an automated gear still is an optional feature you can add on your truck. 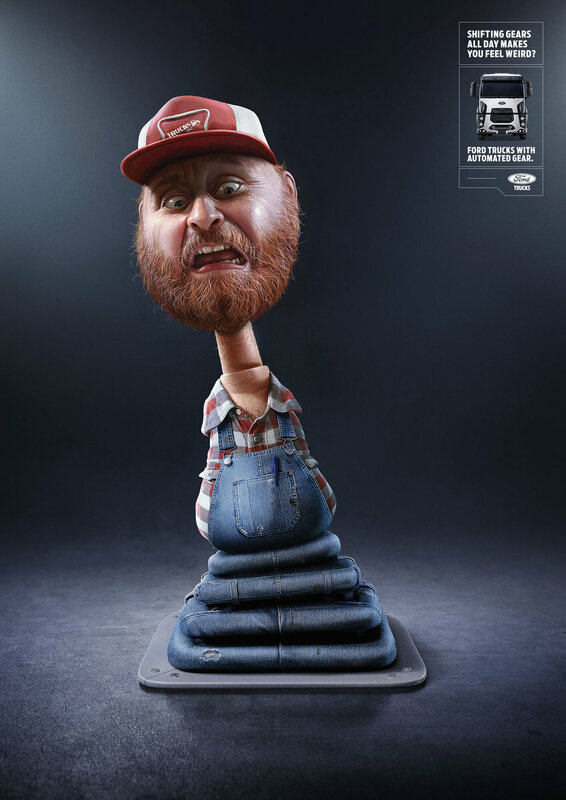 That's why our main task for this print ad campaign were to inform the benefits of an automated gear when you drive a Ford truck. 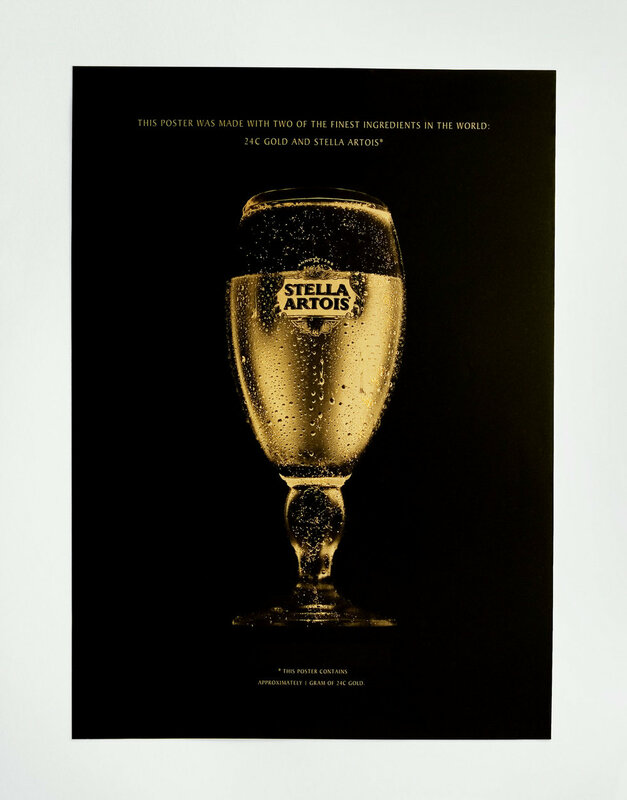 In order to stand out the fine ingredients contained in a Stella Artois beer, we handcrafted a special set of posters made with one of the most valuable things in the world: gold 24C. It's incredible how the performance of your car can deeply affect your routine. Considering this fact, we created this print ad campaign to promote the Ford Service.